Our old unused yard at the back of the school has been transformed this week! 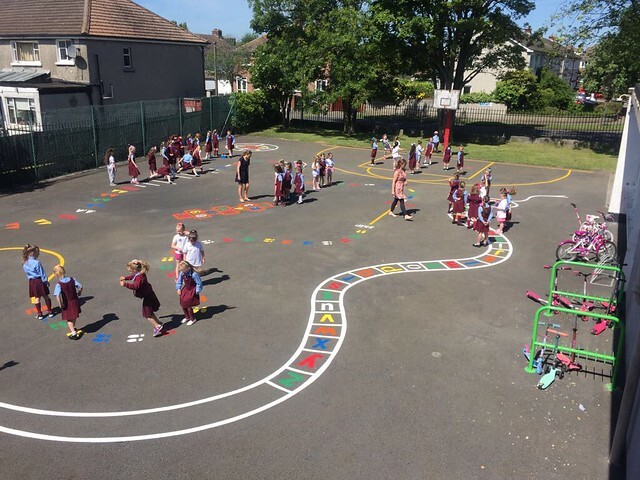 Noel, our caretaker, was very busy preparing the surface for the new yard markings which include many playground games including hopscotch, a skip/balance/hop circuit, an alphabet snake and much more! Our classes are enjoying trying out the new games. Two games have also been added to an area next to our senior yard so the girls can make use of these during their activity breaks.